Keepers Bridge No 50 is a minor waterways place minor waterways place place on the waterways major waterways place village town city on the Trent and Mersey Canal (Main Line - Burton to Fradley) between Bagnall Winding Hole (1 mile and 6 furlongs and 3 locks to the east) and Fradley Junction (Junction of Coventry Canal (Detached Portion) and Trent and Mersey Canal) (2½ furlongs and 2 locks to the west). The nearest place in the direction of Bagnall Winding Hole is Hunts Lock No 15; ¾ furlongs away. The nearest place in the direction of Fradley Junction is Keeper&apos;s Lock No 16; a few yards away. Fradley Junction, Lichfield, DE13 7DN — 279 yards to the southwest. Fradley Junction(Formerly Kingfisher Cafe), Burton upon Trent, DE13 7 — 273 yards to the southwest. Fradley Junction, Alrewas, DE13 7DN — 254 yards to the southwest. Lichfield — 1561 yards to the southeast. Fradley Distribution Park, Lichfield, WS13 8 — 1382 yards to the south. Fradley, Lichfield, WS13 8NL — 1577 yards to the southeast. Lichfield — 1580 yards to the southeast. Fradley junction, Alrewas, DE13 7DN — 261 yards to the southwest. 29 Wyndham Wood Close, Lichfield, WS138UZ — 1607 yards to the southeast. Fradley Park, Lichfield, WS13 8SS — 1402 yards to the south. Alrewas Hayes, Alrewas, DE13 7DL — 992 yards to the northwest. Lichfield, WS13 — 1582 yards to the east. Alrewas — 1586 yards to the northeast. 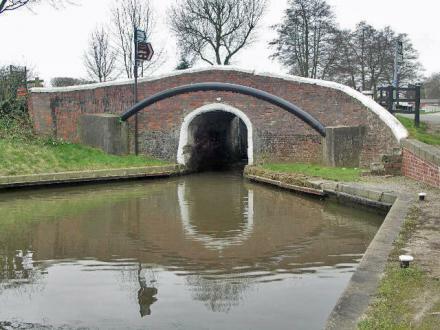 Fradley Junction, Alrewas, DE13 7EW — 273 yards to the southwest. Fradley Junction, Lichfield — 481 yards to the southwest. Lichfield — 1589 yards to the south. Fradley Junction, Lichfield, DE13 7DN — 499 yards to the southwest. Fradley, Lichfield, WS13 8 — 1631 yards to the southeast. Lichfield, WS13 8 — 1488 yards to the southwest. Nook Coppice Byre Gorse Farm Gorse Lane, Lichfield, WS13 8EN — 1484 yards to the southwest. Fradley Junction, Alrewas, Lichfield, DE13 7 — 236 yards to the west. The Little Flower Shed, Lichfield, WS13 8PP — 1598 yards to the east. Lichfield — 1631 yards to the southeast. Hay End Lane, Lichfield, WS13 8 — 973 yards to the southeast. Burton upon Trent, DE13 7 — 131 yards to the south.